As the biggest publishers and developers gathered in LA for E3, CD Projekt’s founders were in Agoura Hills signing the most expensive signature of their lives. They returned home the same week to Poland to announce a deal: THQ would promote and distribute The Witcher 2 on Xbox 360 in Europe. Another victory for the onetime industry outsiders who decided to make RPGs. This is the story of CD Projekt RED’s adventures in courtrooms around the world, though mostly in Lyon, France. A story that hinges on a single clause in a decade-old contract. CD Projekt began life in 1994, importing CD-ROMs into Poland. Soon enough they were employing big-name actors to localise games like Baldur’s Gate, and coming up with clever ways to circumvent the huge free market in Warsaw and make paying customers of PC gamers. But as they spread their roots across Europe, they found their creative power increasingly taken away from them, and quickly defined their idea of independence in opposition to the restrictions they were facing. “The more mature and more developed the market was, we had to follow very strict guidelines,” said Iwiński at Quo Vadis in Berlin. “Our ideas were canned because they were too brave or they were not in line with the concept of the brand. That’s really why they’ve spent so much of the time since in courtrooms. 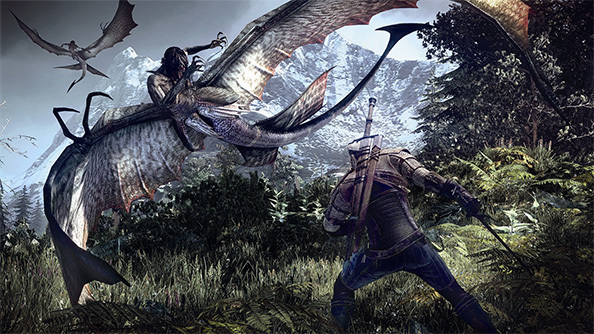 Their first scrap was with Atari – the company CD Projekt had picked to distribute The Witcher, for three reasons: Atari had plenty of experience publishing stellar RPGs like Neverwinter Nights; the studio had run out of money; and so had Atari, leaving them in no position to make demands. Nowakowski and Iwiński managed to broker a deal that allowed them to keep the rights to The Witcher – a practically unheard of achievement for an inexperienced outfit in Poland (“Some people didn’t even know where that was”). Unfortunately, the first draft of the contract said “something totally different”. CD Projekt weren’t convinced. Six months of legal fees later, however, they “really, really” owned the rights to The Witcher. What they didn’t fight Atari over was that clause – a ‘first negotiation’ line small enough to fit on a Powerpoint slide. 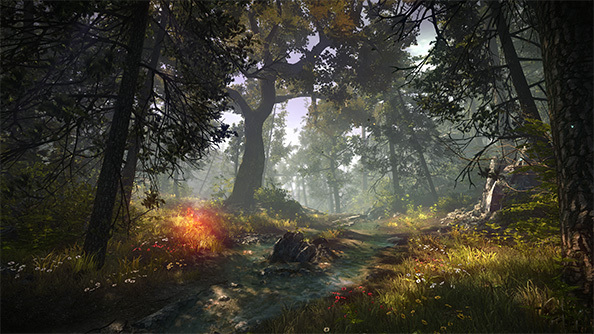 It would eventually become the most bitter taste CD Projekt had of the “price of independence”. But it wouldn’t be their first. In 2009, Iwiński and Nowakowski were sat in a Lyon cafe with some of their most-trusted staff. 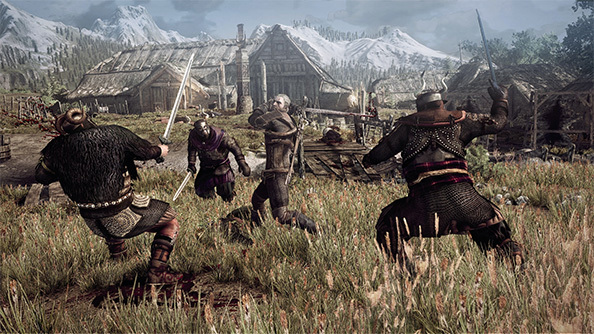 The developers, sent to oversee the porting of The Witcher to Xbox 360, told them that the work was spiralling beyond control. They predicted a year of delays – maybe a year and a half. And so CD Projekt canned the project, and awaited the phone call from Microsoft’s Phil Harrison – then president of Atari Europe, who were funding the port. 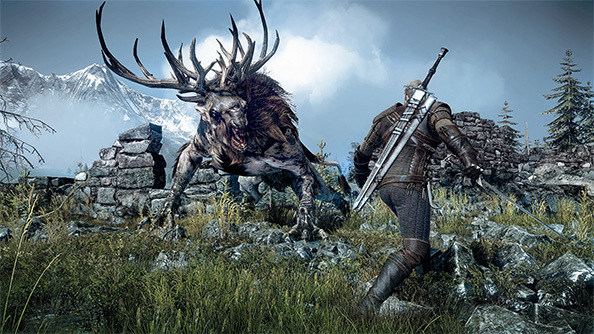 Phil Harrison’s letter asked CD Projekt to return the several million dollars Atari had lent them to make The Witcher: Rise of the White Wolf. Though CD Projekt’s distribution wing GOG was doing well, Europe was in economic crisis – and suddenly, “the driver’s seat started burning”. Iwiński remembers “a lot of fear” – but within a week of negotiation in New York, the two companies had worked out a deal. Atari would gain physical distribution rights for The Witcher 2 on PC, and CD Projekt would keep the rights for digital distribution – a deal Iwiński is, in retrospect, “quite proud of”. The clause had lay dormant and forgotten for years. But it finally kicked in when CD Projekt were shopping around for a deal to release The Witcher 2 on Xbox 360. Atari Europe – by now bought by Namco Bandai, but running under the same staff, in the same offices – still had rights to first negotiation. That meant they got to pitch their deal to CD Projekt first. And if another publisher came up with a better arrangement, Namco had first refusal: the right to equal and swipe that new deal from under their noses of their rivals. “You’re never going to get a better proposal from anybody else,” they told CD Projekt. “So of course, we went out and tried to find somebody,” recalled Nowakowski. CD Projekt found that anybody else in Agoura Hills, California, at THQ headquarters. Namco had made their own offer, as was their right – but CD Projekt preferred the contract they had agreed with THQ, which they signed, and went on holiday. Two weeks later, they were in court in Lyon. “You realise [now] why we have a lot of emotional attachment to this place,” said Iwiński. CD Projekt fought three court cases, and were banned from promoting the game with THQ for the duration – a serious worry just a few months from The Witcher 2’s release. And in the end, they were told by the courts to sign up with Namco Bandai. Nowakowski and Iwiński returned apologetically to THQ, to see if they could come up with a mutual agreement – one that would both cover the publisher’s costs and release their studio from its bind. But THQ wanted a “ransom”. Namco were impeccably polite, just as Phil Harrison had been years before. But between the hat-tipping, they were able to convey to CD Projekt the severity of their situation – that if the studio didn’t pay up, “they were going to destroy us in court”. CD Projekt consulted their lawyers, who confirmed that commercial litigation would cost them somewhere in the region of half a million pounds. Wary of going back to the courts another time, the company’s two founders instead haggled the ransom down to a payable amount – which they then paid. Nevertheless, Iwiński thinks CD Projekt’s “karma was good”. By the time CD Projekt were ready to announce The Witcher 3, things were different. They flew journalists over to cover the game. A 14-page cover feature for Game Informer and its 30 million-strong US readership followed. Today, the driver’s seat is no longer on fire. In fact, it’s a pretty good place to sit.